City Councilor Stephen J. Murphy, who lost his reelection bid last month, backs the BYOB proposal. “I want this done before I’m out of here,” he said. The initiative, better known as BYOB, would be limited to restaurants with 30 or fewer seats and restricted to outlying neighborhoods such as Hyde Park, Roxbury, South Boston, and Dorchester. Proponents say it could enliven local business districts by making it easier for budding restaurateurs. Mayor Martin J. Walsh is “open to the proposal” and the “potential to bring increased economic activity to small businesses in certain communities,” his press secretary said in a statement. To allow BYOB, backers need a majority vote from the council and approval by Walsh. 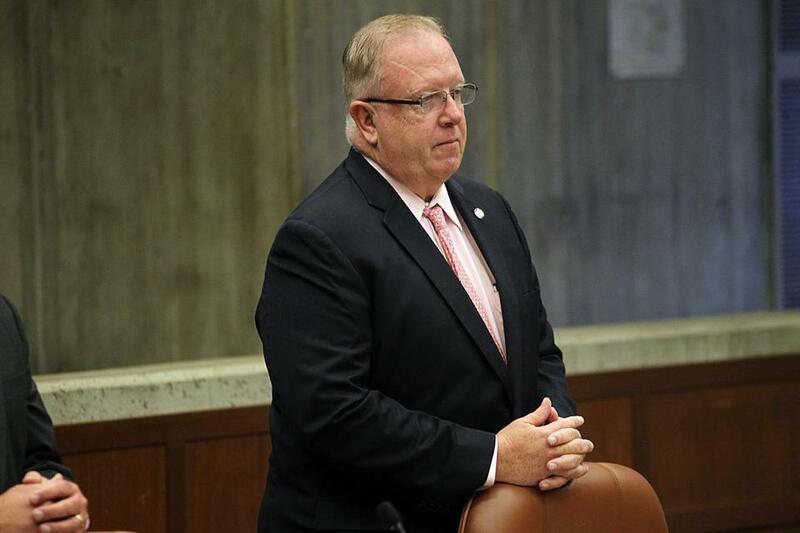 The initiative would then go to the mayoral-controlled Boston Licensing Board, which would hold a public hearing to develop regulations, such as limiting how much wine or beer patrons could bring to an establishment. It was significant that Monday’s public hearing did not attract an angry contingent of restaurant owners worried the initiative would devalue their beer-and-wine licenses, which can cost $50,000 to $75,000. No one categorically opposed BYOB, although some city councilors expressed skepticism. Stephen Clark of the Massachusetts Restaurant Association offered qualified support. The initiative was introduced in February, and the council must act soon if the measure is to pass before the end of this session. The council’s last meeting of the year is next week, and if the BYOB proposal is not brought up by then, it would have to be refiled with a new council in 2016. Much of the skepticism toward the proposal came from Councilor Ayanna Pressley, who said she feared that BYOB would shrink tips for servers. She also warned of a two-tiered licensing system in which most liquor licenses remained downtown while outlying neighborhoods would be relegated to BYOB. “Anecdotally, I have heard some concerns from restaurateurs that without a product to sell, this will not be a huge boost for them,” Pressley said. But Rafael Carbonell, deputy director of the city’s Office of Business Development, said he spoke to small-business and small-restaurant owners across the city “who were overwhelmingly supportive of this.” Carbonell recounted a conversation with a restaurateur about to open a cafe in Hyde Park with hours limited to breakfast and lunch. “She said if BYOB were passed, she would consider expanding her menu to add dinner,” Carbonell said. In Chicago and other cities, BYOB has helped creative entrepreneurs unable to afford the high cost of liquor licenses, according to Eli Feldman, owner of Three Princes Consulting, which focuses on the hospitality industry. Restaurants are an increasingly key ingredient for neighborhood stability in a world in which online retailers have supplanted corner stores. Under state law, BYOB is not allowed at establishments with liquor licenses. The council proposal would limit BYOB to beer and wine, and ban it downtown and in the North End, South End, Bay Village, Fenway, Chinatown, Seaport, West End, Beacon Hill, and Back Bay neighborhoods.